We will appreciate if the winners will comment here telling us how they like the Software. Thanks a lot! I love Tuneup Utilities. I've been using them for years on all my systems and on friend's pcs. Certainly one of those must-have products that should be installed on every system. Clean fast and efficient. Spyros.G can you send me an email so that I can reply u with the license. 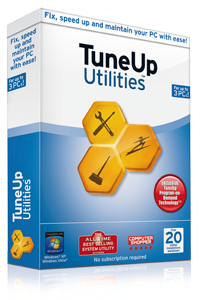 I love TuneUp Utilities 2011 . I received my License, thank you very much.